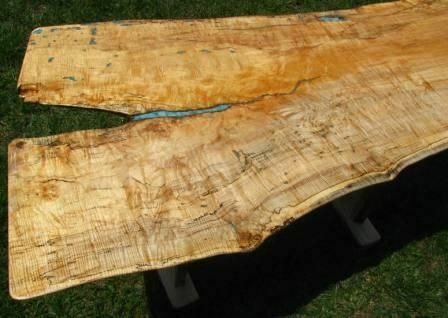 This single-slab Maple piece has ink-line spalted character throughout, some Burl, and stunning curly grain. 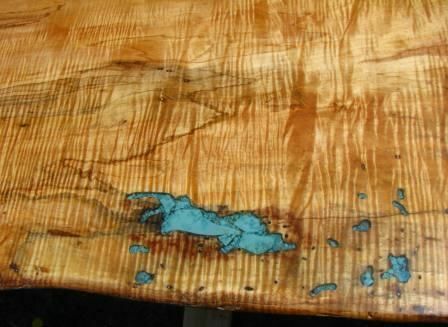 We left as much of the split as possible, set it off with Turquoise inlays and completed the table with a live-edge base. 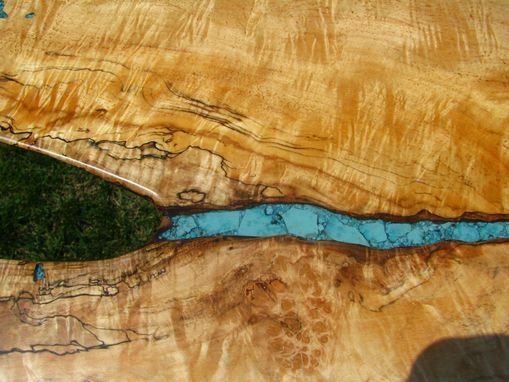 Truly an amazing piece! 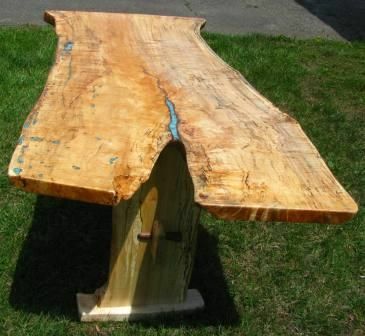 AND the best part, we still have slabs off that same Maple tree. 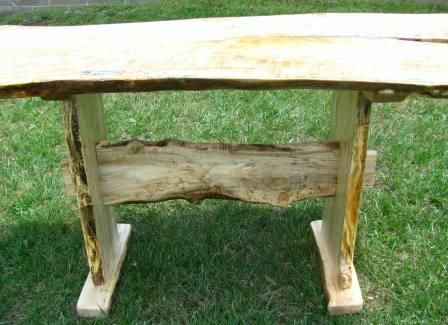 Let our Woodgenius create a beautiful small Dining table or large Coffee table for your home! 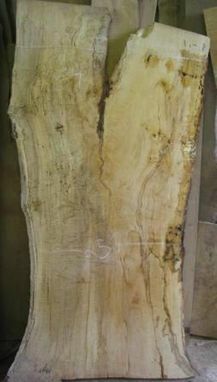 Approx 60x32--see photo of original slab.